Sydney Samizdat - ZineWiki - the history and culture of zines, independent media and the small press. Sydney Samizdat (2009-) is an underground arts zine edited by writer Matthew Asprey in the Inner West of Sydney, Australia. The title is a tribute to the courageous underground presses of the Soviet bloc and a comment on the Australian Government's increasingly repressive censorship stance. In the tradition of samizdat publications, the reader is asked to pass the package to a new reader after 72 hours. So far one issue has been produced in a limited edition. The theme of Issue #1 was ‘The Pleasures of Transgression’. The zine package contained a 48-page chapbook and a DVD-R. 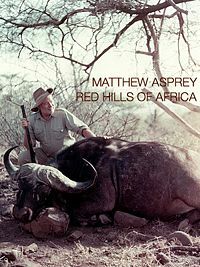 The chapbook was devoted to Matthew Asprey's novella 'Red Hills of Africa', set in Madrid and Marrakech. The DVD-R featured a 28-minute Australian film called Michael and Michelle (2009) written and directed by Matt Dibbayawan and starring Stephen Peacocke and Bianca Bradey. You also scored a music video featuring a track from Sydney jazz band Trio Apoplectic’s recent album Sofia (Rufus, 2009). Copies were distributed freely around Sydney's Newtown and also in the Mission District of San Francisco. 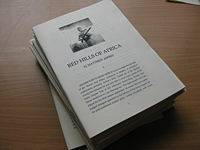 'Red Hills of Africa' was republished as a Kindle e-book on July 16, 2010 and a print-on-demand paperback on August 9, 2010. This page was last modified on 30 November 2011, at 11:53.